A website should be solid foundation of your digital marketing efforts. With that foundation, you should be turning website traffic into leads. No matter how many social media accounts you have or how often you update them, you hear time and time again from consumer advocates to check out companies’ websites before committing. Your website should be a place where your visitors come to and feel comfortable and want to connect with you. 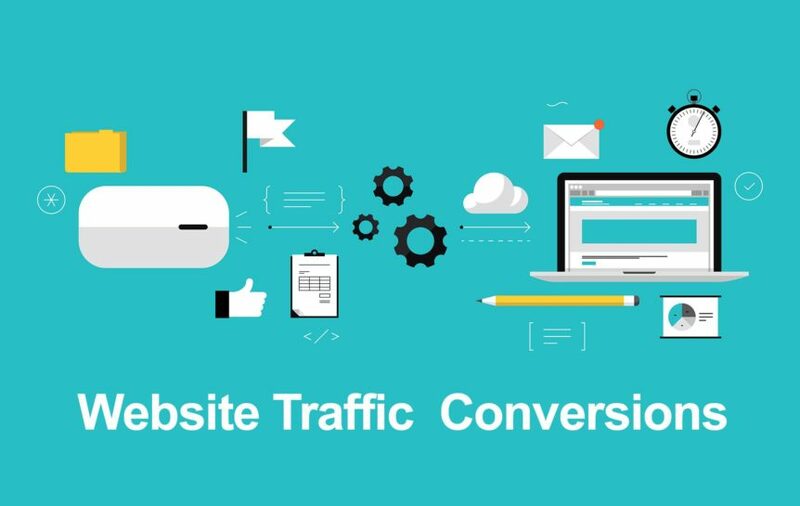 There are some things you can do to your website to help convert that traffic into leads. Let’s look at three of them. First, tell readers in no more than 10 words, “What we do.” Below, quickly and concisely define, “How we do it.” After that, make sure all your website copy supports this statement in one way or another. To make my point clear: can we design your postcard, yes. Will you find that on our homepage, or 90% of our copy (website’s text), no. Why, because just because we can does not mean that is the focus of our business. The focus of our business is to help your business grow using your website and digital marketing as a means to that growth. We want to stay on the message that is the focal point of what we do. What we call at Hughbanks Design your money pages, things like your contact page, your product or service pages, or any other pages of primary importance in generating income (or leads) for your business, need to be super easy to find. This is where things like navigation and call to action buttons come into play. If you have a service page buried deep within the third tier of your top navigation, and no other way to it, it’s a pretty safe bet that you will have very little viability to that page. By using call to action text and design (forms, buttons, headlines, extra) you can give your site the push it needs to convert visitors to leads and sales. The biggest thing to remember, the “rope” that ties all this together, is remembering that your website needs a goal. That goal needs to be more than just “tell the world about us.” Once you have that goal established, the rest of this will be much easier to follow.